Memoranda of Understanding (MoUs) are written agreements between the HSRC and other parties which record common intent to undertake a project or working agreement. Listed below are the currently active MoUs which provide a framework and set of principles to guide the parties in undertaking a project or working arrangement. The MoUs include agreements with other higher education institutions, local government, national government, development institutions, international agencies and others. Inter-organisational cooperation between the HSRC and other parties may also comprise bilaterals, often signed by the HSRC on behalf of government departments. These research collaboration agreements may be with countries across Africa and the rest of the world. 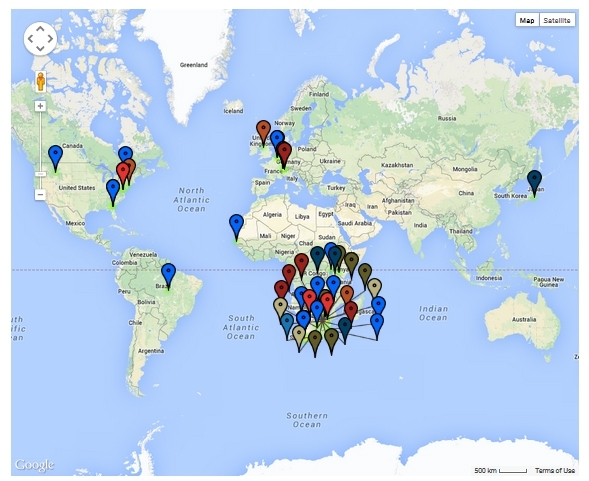 The HSRC has developed an interactive map that captures the MoUs it has with institutions around the globe. View the MoU geomapping facility. Screenshot of the geomapping system.